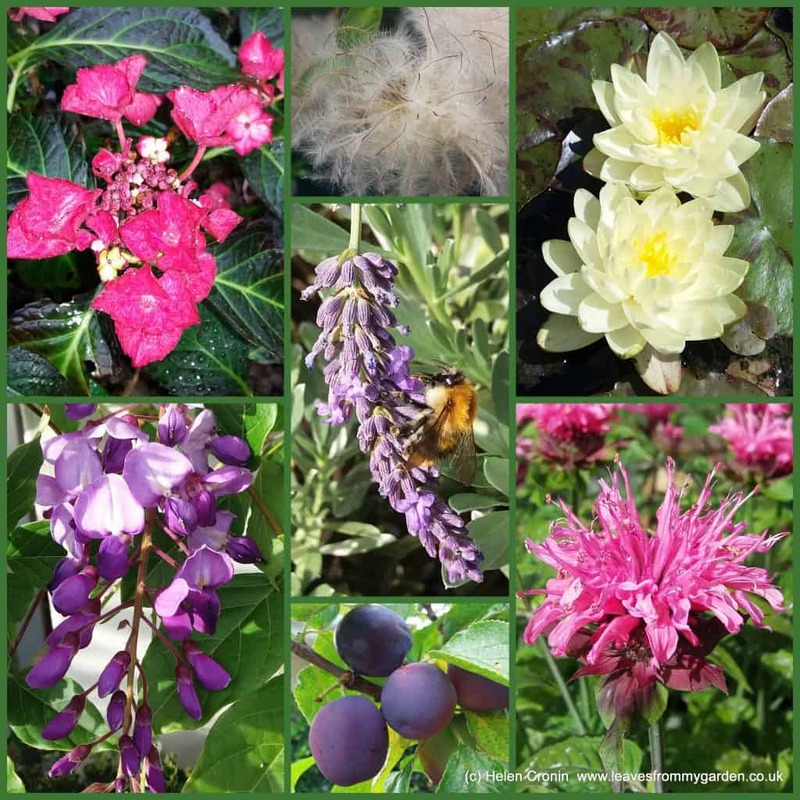 100 days of the Garden Photo Challenge – and a Freebie! I set myself a Garden Photo Challenge in April 2016. The aim? To take a photo in my garden here at Dovewood in Dorset, every day for a year. Why? To prove that even a small garden can be interesting 365 days of the year. The task was to photograph something of interest whether a flower, leaf, seed or whole plant each day. I didn’t not use any fancy equipment, just the camera on my Samsung Galaxy J5 phone I then posted the photo on to Instagram and my Facebook page. On 15th July 2017 I reached the first milestone of 100 days of my Garden Photo Challenge. Only 265 days to go! Of course, starting in the Spring made it a lot easier to find things to snap. And there was little repetition of subject matter. In some ways that was disappointing. Quite a few plants were flowering their socks off at Dovewood but you saw them only once or on the rare occasion twice. I reviewed the list of plants that appeared in the ‘Hall of Fame’ during the first three months of the Challenge. 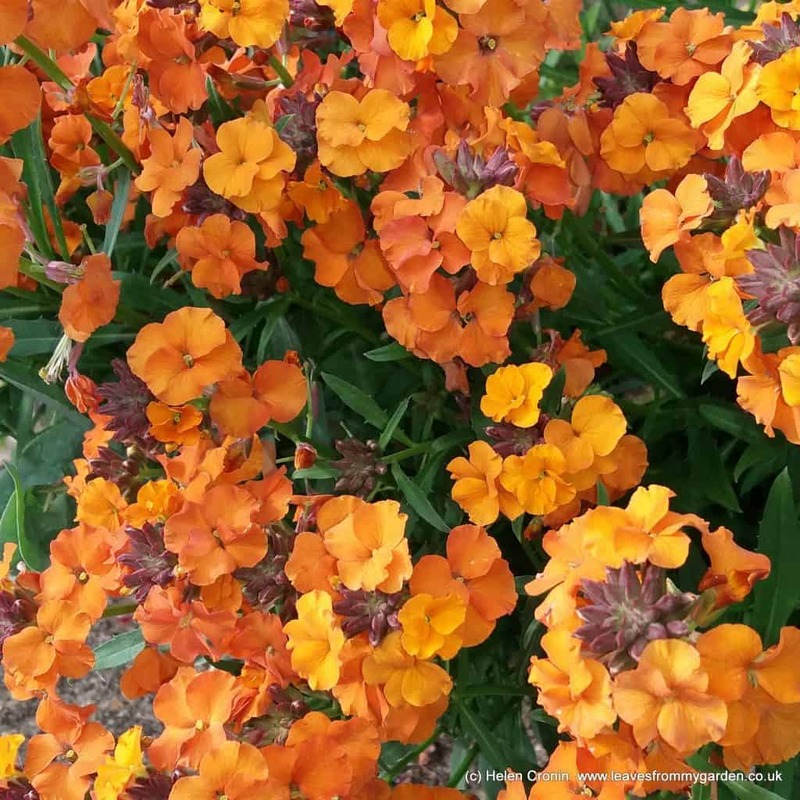 Of these, some were still flowering three months later, for example Erysimum Apricot Twist. One of my followers remarked one day that watching the progress of my quest, made her look closer at her garden. She made discoveries, as she found plants she didn’t even know where there! The Garden Photo Challenge has made me look closer at my garden. On several occasions I have found plants in flower that I didn’t even know were in bud! However, the change of Seasons and the next 100 days took us to the end of October and into Autumn…….. I know that I am fortunate living in the south of the UK where we usually experience a milder climate than more northerly areas. Our first frost is generally about the middle of October (the last being about mid-May). 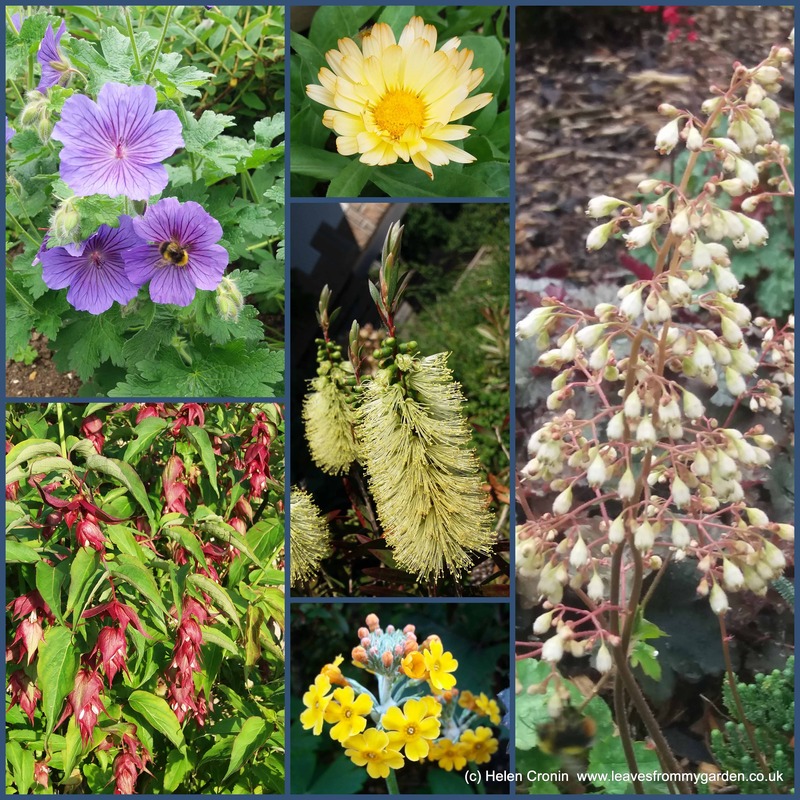 Traditionally Autumn is full of colour from late flowering plants. The seasonal colour change of leaves all depends when the first frosts arrive. Too early and we lose blooms. Little or no frost can mean we lose out on Autumn colours. Plants then drop their leaves without the glorious changes we associate with the time of year. The following 100 days would take us through the winter months to the first week of February. I had had time to think about the continuation of interest through the year. Were my planting schemes going to be successful? I like to think my garden is interesting all year but would the challenge ultimately prove it? How much could I squeeze into my garden to make sure that there really is interest even through the winter months? Talking of making notes I have a FREE PRINTABLE available to help you do just that. I’ve designed it to be suitable for any month. 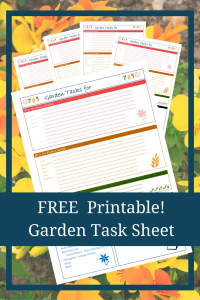 There is space for you to make notes for each of the main areas of gardening; Flower Garden, Kitchen Garden and Lawn Care, as well as General Tasks. Each section has some general prompts to nudge you into which tasks may need to be done. There is also space to make lists, and sketch ideas. If you print the Sheet out and laminate it, you can use a dry wipe pen to have a perpetual list. Or you could attach a pad of sticky notes on the sketch block. You can tear off the list to take with you into the garden for the day. I am sure that you will find it super handy. 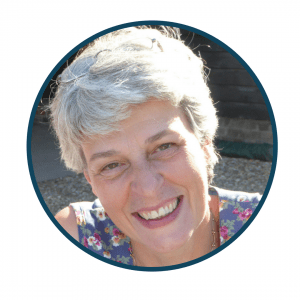 And don’t forget, if there is anything you would like help with, do send me an Email. You can use the contact form to get in touch with me. I would love to help you make the garden of your dreams. 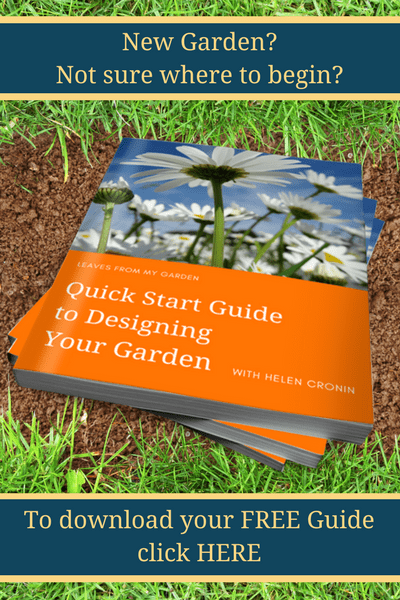 « Best book about gardening – ever!